This year, you have not one, not two, but three reasons to attend the Fort Wayne Home Builder's 2011 Parade of Homes at Valencia. 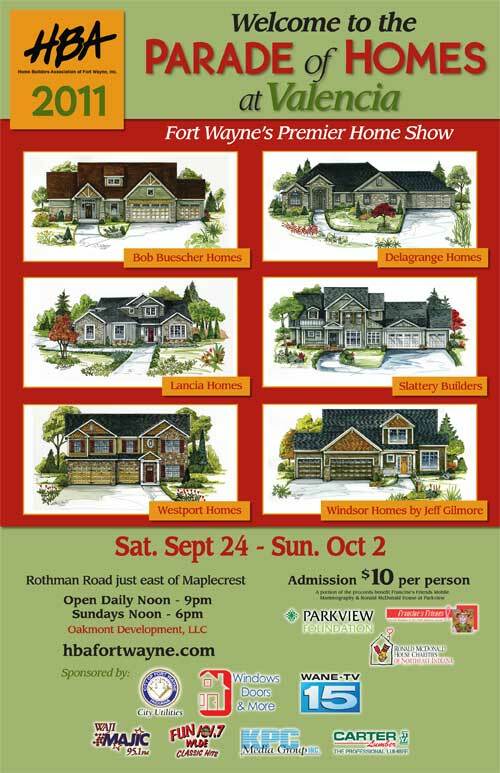 First, Fort Wayne's premier home show is always a great event featuring fine homes built by fine homebuilders - including Windsor Homes by Jeff Gilmore, Westport Homes, Bob Buescher Homes, Delagrange Homes, Lancia Homes and Slattery Builders. Second, this year on the opening day, the Francine's Friends mobile mammography coach will be on site and mammograms may be scheduled between the hours of noon-4:00pm. You must have purchased a Parade of Homes ticket to have access to the coach.To schedule a mammogram, call 260-483-1847 or 1-800-727-8439, ext. 26540. 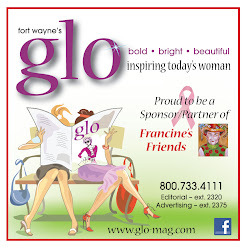 Third, a portion of ALL ticket proceeds will benefit Francine's Friends mobile mammography. We thank our FRIENDS at the Fort Wayne Home Builders Association for their support! The sub-division of Valencia is located on Rothman Road just east of Maplecrest Road. Dates are Saturday, September 24, 2011 - Sunday, October 2, 2011. Daily Hours: Noon - 9:00 pm, Sundays: Noon - 6:00 pm. For more information, visit hbafortwayne.com or call (260)420-2020. 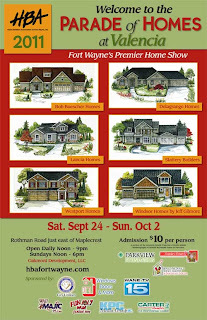 9/13/2011 update: Flip through the Parade of Homes program book for a sneak peek at the homes featured - and the Francine's Friends ad on page 38! See it all here at http://www.hbafortwayne.com/book/. Drum roll please......nearly $2,500 by 9/2/2011!